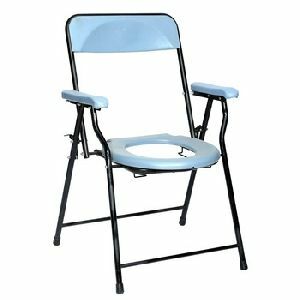 Folding Commode Chair with Seat Cover Foldable Premium Imported Commode Chair with Height Adjustment, Folds flat making it easy for storage and transportation. 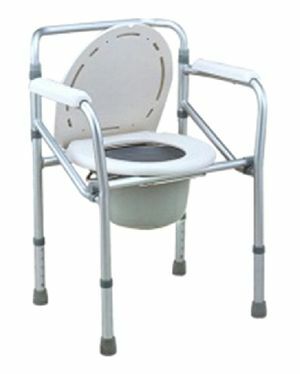 Features : Full Aluminium body. 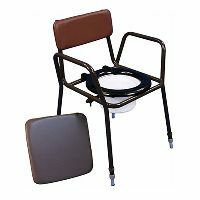 , Plastic Seat and Back Rest and Comes with one removable pot. 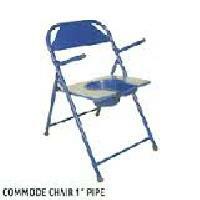 Commode chair alluminium sheet powder cooted 1" ms pipe with back suppot heand rest minimum order 50pcs. 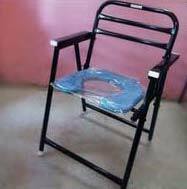 Chrome plated steel body Converted into bed. 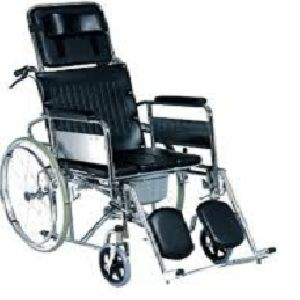 Large wheel for self propel Back recline & Head Rest Seat width 18” Detachable & Elevating footrest. 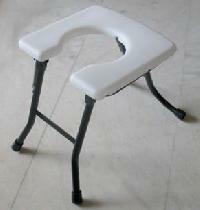 Armrest detachable. 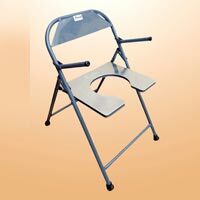 Made from high quality steel pipes and channels.Seat made from high quality aluminium sheet.Easy to fold, carry and store.Foldable handles.Reduced dimensions when folded.Smoke gray colour and best quality of enamel used.Available in 4 variants.Made from Gas &Mig welding. 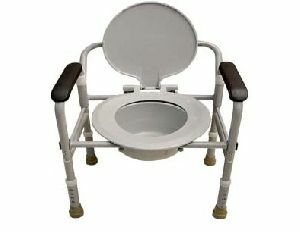 The Only Option of Western Commode. 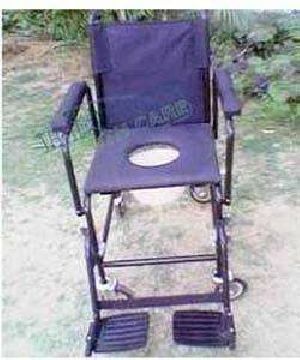 May be used at Indian Toilet as well as within Room with the attachment of Pot. 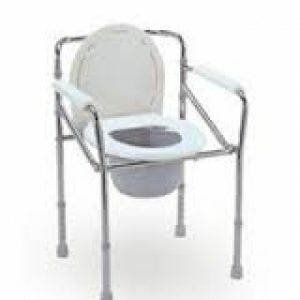 Starting from Rs. 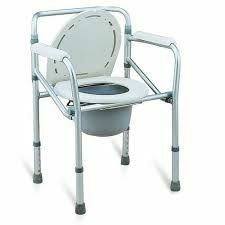 350- to Rs. 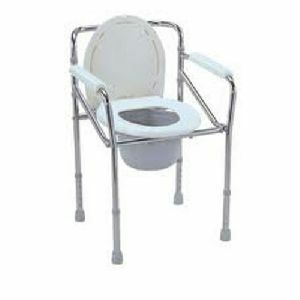 700- Also for Western Commode to increase 6 inch Height from Rs. 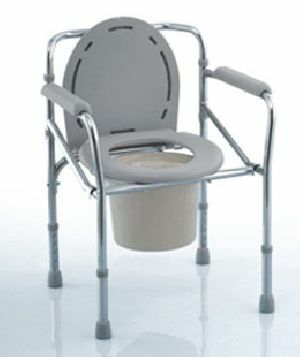 1000- to Rs. 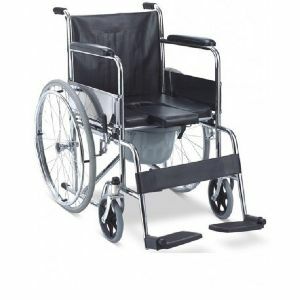 3000- with and without Wheels. 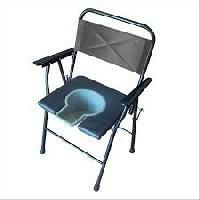 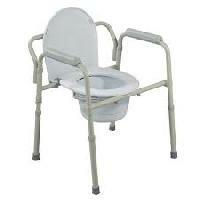 We are offering folding commode chair. 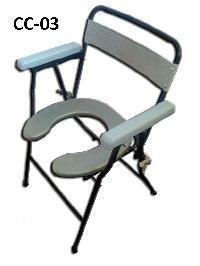 Adjustable seat height. 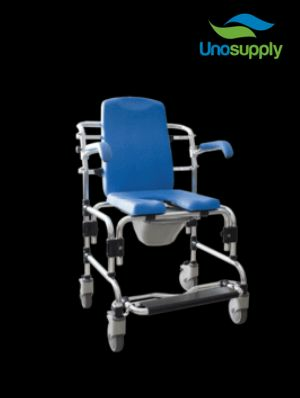 Foldable deisgn for easy storage. 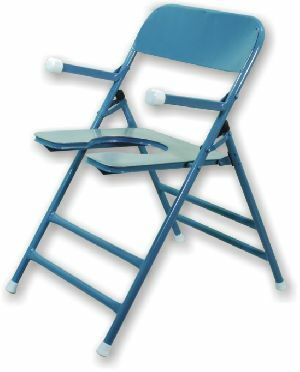 High back rest. 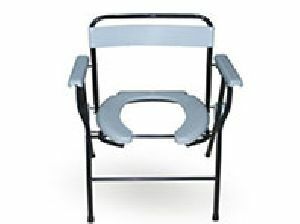 Weight capacity : 100 kg. 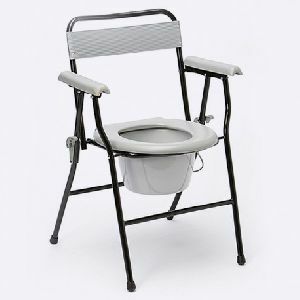 It is adjustable in height using easy-to-use push buttons. 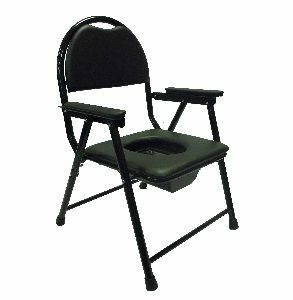 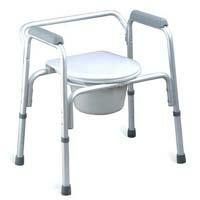 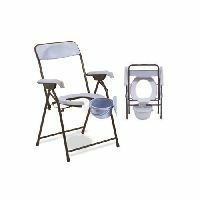 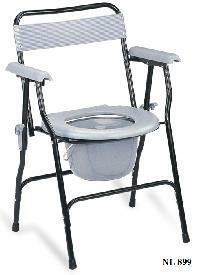 Folding commode chair with adjustable height. 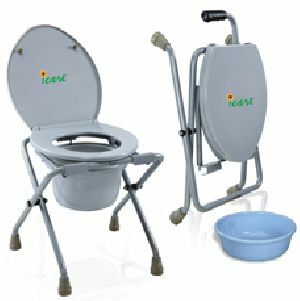 The company is deep rooted in Kolhapur(India) and has gained a distinguished position in the market. 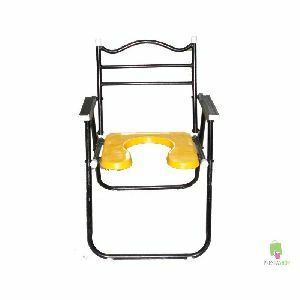 To ensure complete safety of the products from diverse damaging factors such as rain, dust, sunlight, moisture, etc., we keep the lot in our capacious warehouse before dispatch. 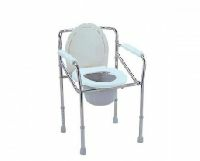 Featured with seat measuring 40 x 40 cms, our Commode Chair can be used over regular Indian-style commodes. 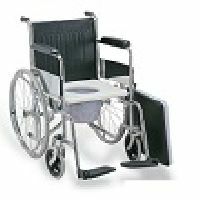 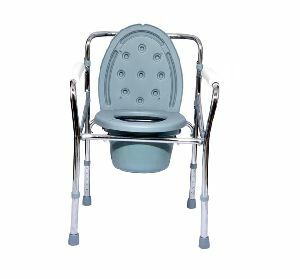 Commode Seat Fixed, Width 45cms, Padded arm rest detachable, foot rest fixed, 04 Nos 5" Revolve Castor wheels with bearings 2” Foam Seat – Detachable Commode Seat with Plastic Pot Imported nylon coated fabric back. 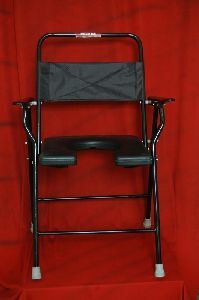 Epoxy powder coated finish. 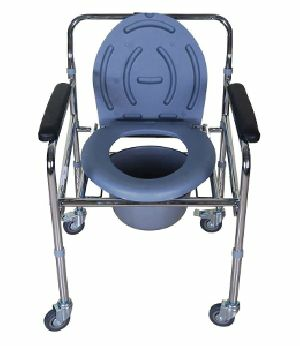 Commode chairs a portable toilet that can be placed at the bedside of a patient whose activity is limited; these are often used in the home when the patient is too debilitated to reach the bathroom. 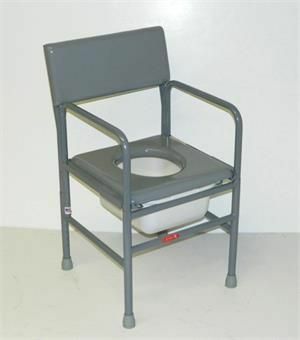 The receptacle for waste can be removed and emptied.